The Pokémon Company today has had a press conference – a curious event for them. They have just announced a new game called Pokémon Go for a 2016 release, a project for smartphones (Android and iPhones). 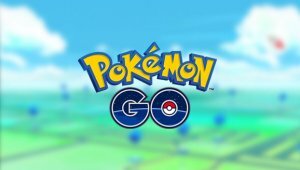 People can catch, trade and battle Pokemon using their phones and AR technology, a change of platform. This isn’t like the main games, but the base concepts certainly appear to be there. Fear not however – it’s very unlikely this will replace the handheld titles we know and love. Go where? Everywhere, it seems. See the trailer and info in the full article!